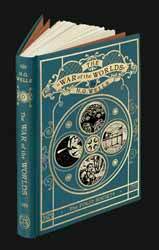 H. G. Wells's The War of the Worlds was first published in 1897 in serialised form by Pearson's Magazine in the UK and Cosmopolitan in America. It was then collected and published in hardback in 1898 by William Heinemann of London. The story has seen numerous adaptations for stage and screen over the years, with settings ranging from Victorian England, the present day and the future. At its heart it's an invasion story and this is probably why its central story has been embraced by almost every generation since its release. The threat of invasion and the unknown taps into primal fears that we all can relate to. I haven't read the original for decades and I was looking forward to seeing how years of adaptations and homages had changed my memory of it. In truth, it's still a strong and powerful story which, while our language has changed since it was originally penned, still stands up well. As with all Folio Society releases, this is a book for lovers of the written word. It's a lovingly bound hardback edition in a cardboard slipcase. 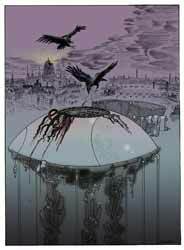 There are some beautifully illustrations by Grahame Baker-Smith and an introduction by Iain Sinclair. 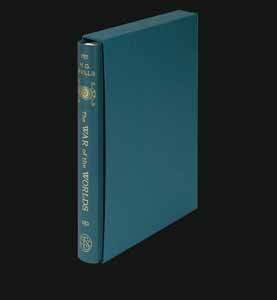 Technical specifications: Bound in buckram blocked with a design by the artist; Set in Founder’s Caslon; 240 pages; Frontispiece and 6 colour illustrations; 9½˝ x 6¾˝. For lovers of classic sci-fi this is an essential purchase.